Our medical grade crystal free DiamondTome microderm will smooth out skin texture and pigment. This skin resurfacing treatment stimulates vascular circulation resulting in healthier, firmer appearance of the skin. This is a skin resurfacing treatment that removes the dead outer layer of skin. 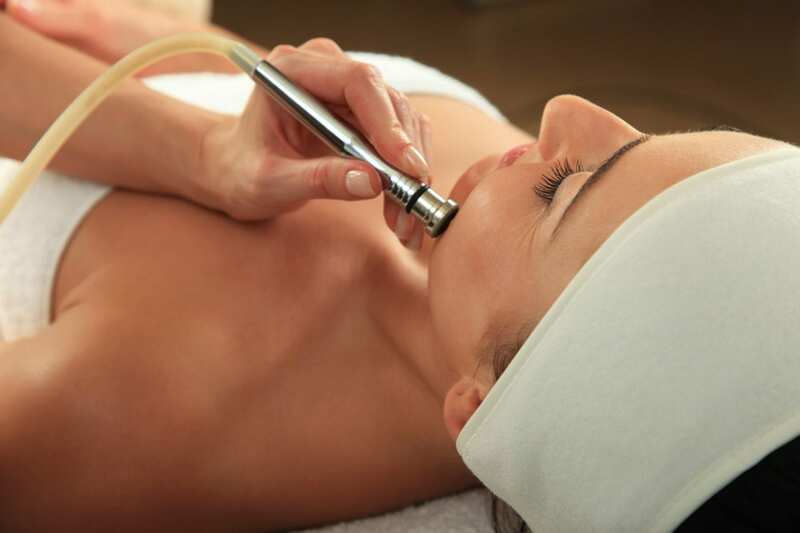 Microdermabrasion stimulates collagen production and helps to even out blotchy skin tone and texture. Microdermabrasion is recommended for anyone over the age of 14. It is effective on all skin types and colors. Indications for microdermabrasion are dull, oily, and leathery skin texture. Microdermabrasion helps eliminate enlarged pores, clogged acne pores, mild acne scarring, fine lines, and mild pigment irregularities. Microdermabrasion is done with fine crystals that painlessly remove the surface layer of the skin. The procedure takes 30 to 60 minutes. Initially the skin may appear slightly red. This will disappear over 24 hours. Mild skin peeling may also be experienced. No. You may return to normal activities immediately following treatment. It is recommended that you use sunscreen with at least SPF 30 after treatment. You should avoid all sun exposure after microdermabrasion. The results are immediate and will be most noticeable 2 to 3 days after treatment.